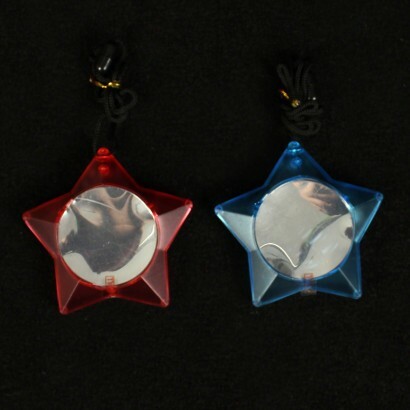 Stare into infinity with the infinity tunnel pendant! 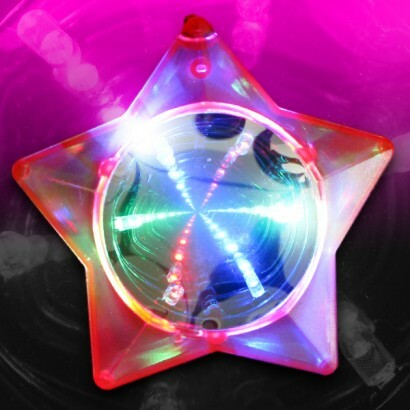 This battery operated beauty creates an infinity illusion with glowing LED lights which slowly fade and change colour in a new star shaped design. 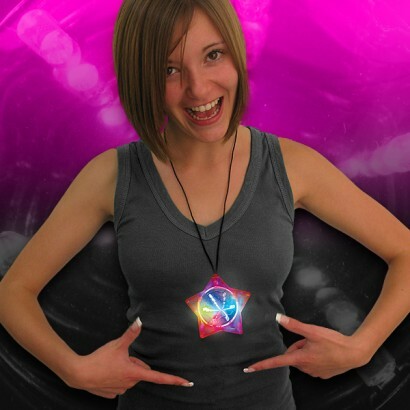 Supplied on a breakaway safety lanyard, this mesmerising necklace really captures your imagination taking you off into a never ending tunnel of colourful light! Comes pre-loaded with 3 x AG13 batteries and fitted with a necklace string including a safety tug-release clip. Kept 4 year old entertained for ages! Brought these for a festival. They looked great at night and kids loved them. I brought a few as they are relatively inexpensive and although ours lasted for 3 days and not tried them since, dont expect them to last for ever. This pendant is AMAZING. Great for the price as well. Made quite an impression! A unusual and fascinating effect, looks a little cheap in days light but that doesn't matter after dark and it's lit up. Great value, lasts well. Glow Co. delivery is so fast you wont believe it! Brilliant porduct. Exactly what I wanted. very good item - larger than expected - just mesmerising.